Aquarius Pool & Patio has a large selection of outdoor tables and chairs to choose from. 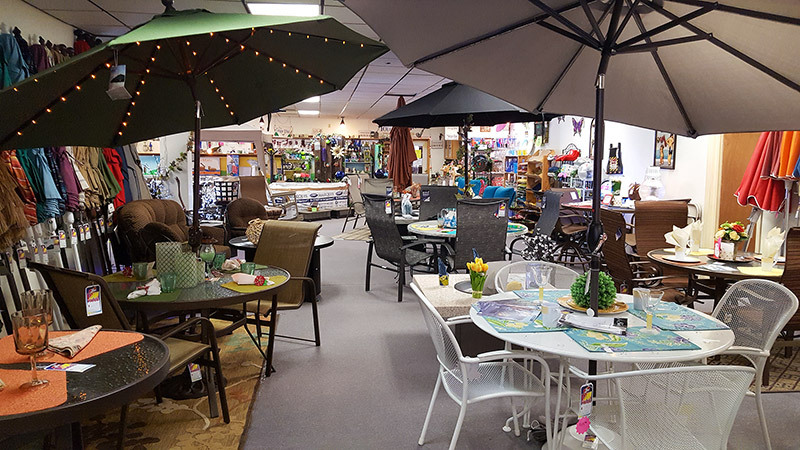 We have a huge selection of patio umbrellas in different sizes and patterns. 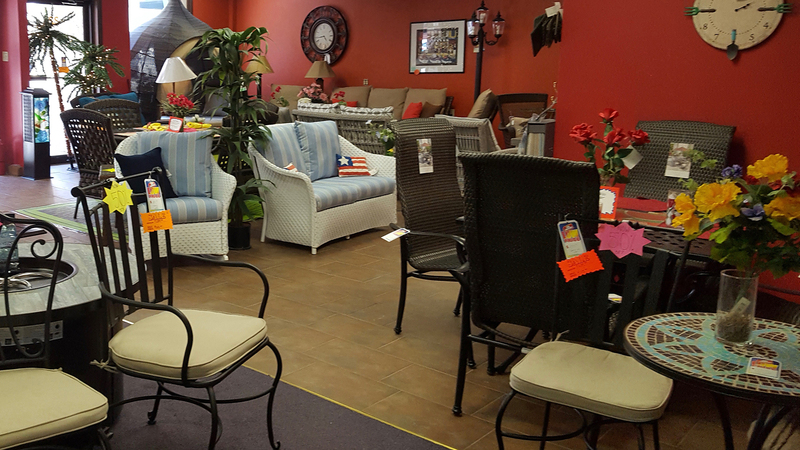 Make your patio a true outdoor living space with quality, comfortable sofas and chairs. An outdoor gas fireplace or firepit will warm your outdoor space even when it's chilly out. Adding a spa to your patio brings relaxing fun all year long. 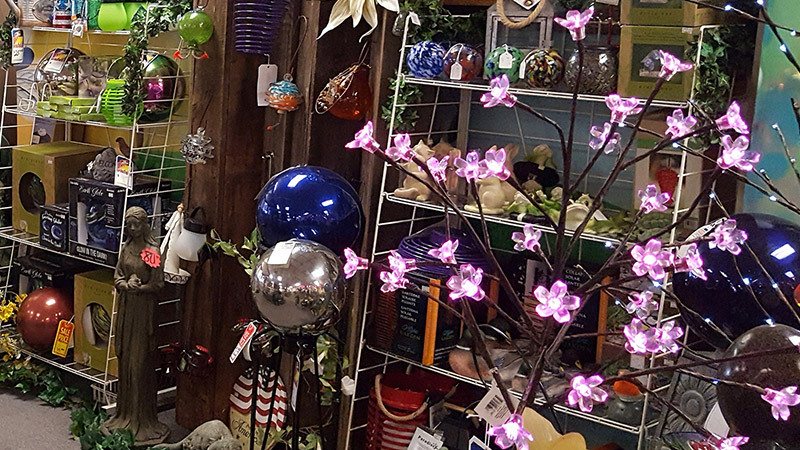 Complete your patio with beautiful patio decorations and accessories. Aquarius Pool & Patio offers over 50 brands of quality outdoor furniture, with most being made in America and up to a 15-year warranty. 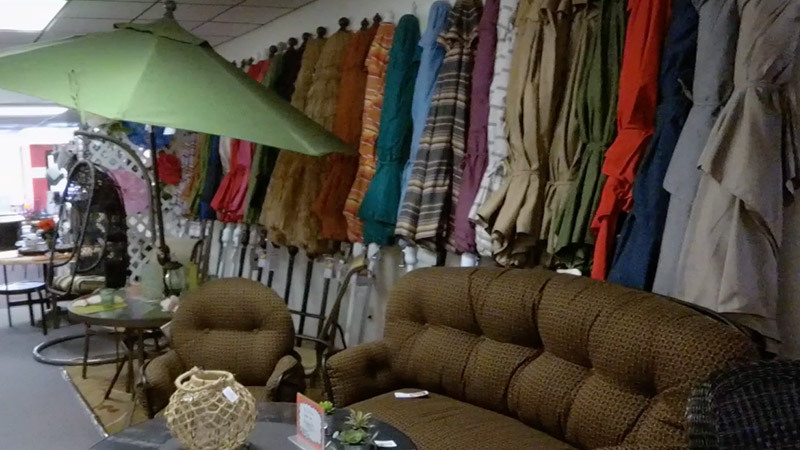 Choose the style that matches your own personal taste and style. 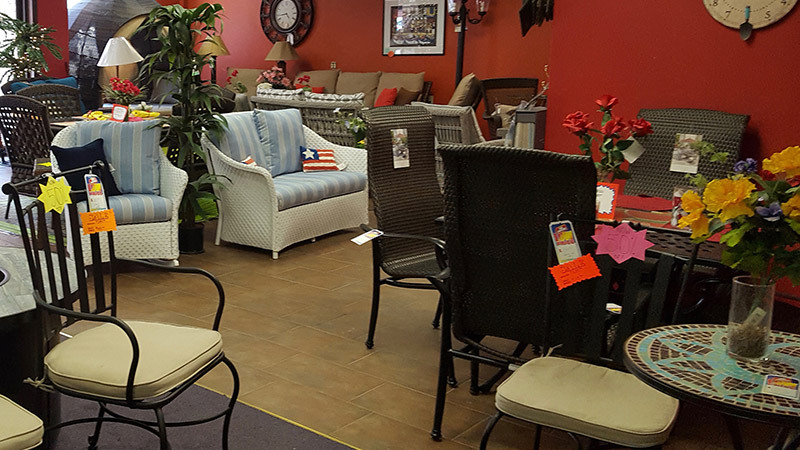 We carry only the best patio furniture manufacturers. Here are some of the brands we carry: Jensen Leisure, Lloyd Flanders, Telescope, C.R. 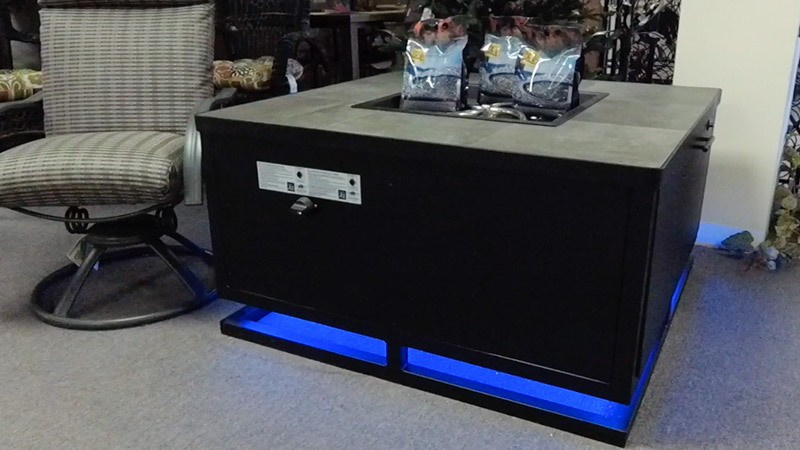 Plastic Products, OW Lee, Pawleys Island Hammocks, Kettler, Homecrest Outdoor Living and more.